If you are like most homeowners you either have a lawn service that cuts, edges and fertilizes your lawn or you are a do-it-yourselfer and spend the time but save the money from having others perform those tasks. Most homeowners can tackle easy jobs that involve their lawns but when it comes to shrubs, plants, trees, and hedges they are primarily lost on how to properly perform routine trimming. Most trees, hedges, and shrubs benefit from yearly or seasonal trimming, but it takes knowledge and experience to effectively accomplish great results when tackling those kinds of jobs. North Florida is home to many varieties of flora that grow exceptional well after proper trimming and pruning have been done. 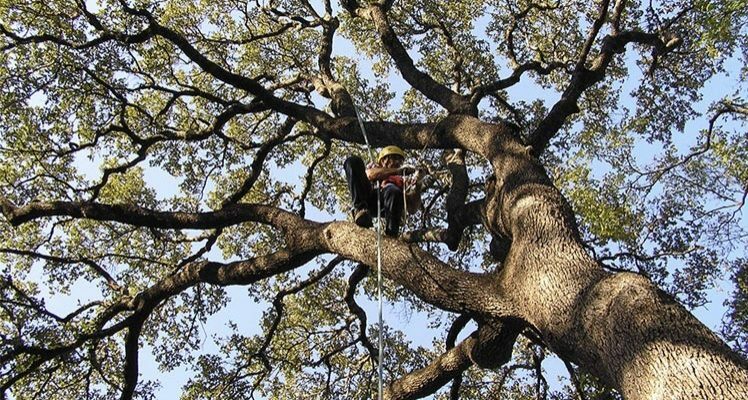 Eagerton Tree Service is a full-service horticulturalist and arborist proficient in all types of pruning and tree trimming that not only enhances the beauty of the plant but increases fruitfulness and growth. Dead, overgrown stems, diseased or damaged branches need to be removed to promote plant life and accelerate the natural trees growth cycle. Eagerton Tree Service has a general guide it uses to evaluate the need for and best time to trim, prune and remove problem areas of your trees and shrubs. Eagerton Tree’s expert horticulturalists believe the best time to remove diseased, broken or dead stems, stalks, limbs or branches is when they become apparent. This is a good rule of thumb to be accomplished at any time of the year. These plant or tree issues can harm the species and allow insects to infest causing further deterioration and disease. Suckers, waterspouts or cross branches can be safely trimmed during spring and fall months. Hard freezes are important in the growing cycle of the tree and many species can be damaged if pruning takes place when a frost is imminent. Trimming or pruning with a purpose in mind is an important task that can correct a situation like overhanging limbs, promote open air flow and light to the body of the plant or control the size or natural form of the plant as in border or hedge plants. Additionally, Eagerton Tree stresses that it is important to have the right tools, in the proper shape, sharpened and in a safe, clean condition and choosing the right clothes to protect oneself from accidents and harm. Oversized and bulky clothes are not recommended if using power tools and wearing long pants and long shirts, gloves, safety goggles, and the right footwear is also important. Also, one should choose a dry, clear day with no rain forecasted so equipment stays dry especially ladders or step ladders used in the operation. It can also be important to have more than one person assisting in the project to remove cut branches out of the work field and keep a watchful eye on the cutting, sawing, and pruning taking place. Remember, choosing the right time, the right tools and the right project is an important step to safe, effective trimming and pruning. One should never tackle a job too large for the average person to perform properly. It is always recommended to get an expert opinion on any large tree trimming project before one starts. Some trimming and pruning tasks can easily be accomplished with a small ladder and the right cutting tool in the hands of an untrained homeowner if they first consult how, when, and where the plant should be trimmed. But larger projects involving large trees, high branches or large hedges or shrubs need to be trimmed and pruned by a professional tree service company. At Eagerton Tree Service we have the right knowledge, experience, and trained personnel with the tools to tackle any tree trimming project. Our consultations and estimates are always free and we have a zero-damage property pledge and a 100% customer service guarantee. Give us a call at 904-823-3090 for a free, on the property inspection for any trimming, pruning or tree removal project, performed safely and effectively, at a price you can afford.